Legislation from the 2015 session removed some of the benefits of purchasing environmentally friendly vehicles. Rep. Frye is working with other representatives this session to win those incentives back. 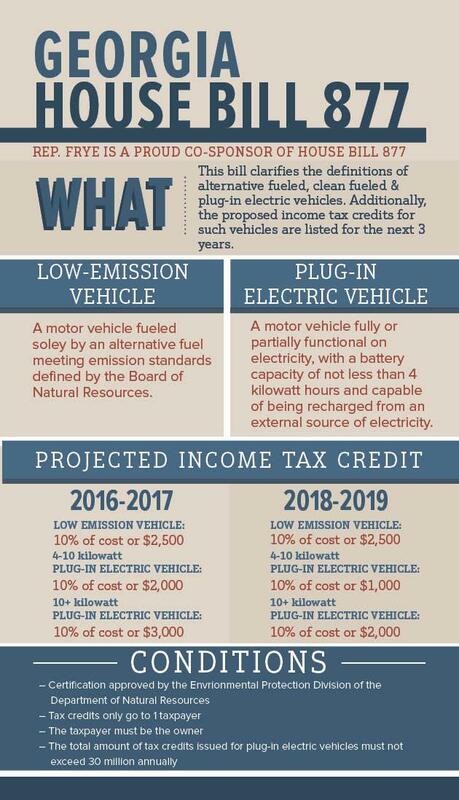 HB 877 will bring back the income tax credits for low-emission and plug-in vehicles that were lost. Learn more about the legislation here.